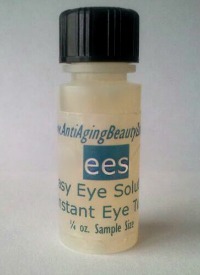 Easy Eye Solutions - Reduce Puffy Eyes - Sample Size SALE! Enjoy FREE SHIPPING within the United States! INSTANT EYE TUCK SERUM 15ml / 0.5 fl. oz. Designed to reduce under eye puffiness, bags, lines and crepey skin. The short term effect of one application is nearly instant: bags, puffiness, fine lines and dark circles are reduced for 12 hours or more. 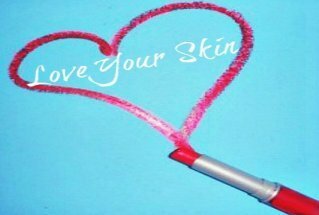 Designed for men and women of any age, skin type or color and can be applied over makeup. Results: Most people notice a more youthful, fresher look to their appearance. NOTE: Full size bottles contain about 300 applications and can last up to 6 months. Reducing the cost to about .25 cents per application! NEW! TRY BOTH SAMPLE PRODUCTS @ A DISCOUNTED PRICE!! This includes BOTH the Instant Eye Tuck Serum sample size bottle & Illuminating Eye Care Cream sample size bottle. Each bottle holds 7.4ml / .25 fl. oz. 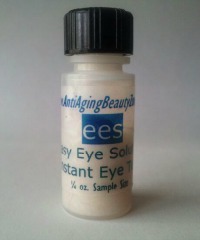 ILLUMINATING EYE CARE 15ml / 0.5 fl. oz. The Illuminating Eye Care Cream helps keep the skin soft and hydrated. Infused with ultra-fine light reflecting/highlighting pigments it helps brighten under eye discoloration and dark shadows. The Illuminating Eye Care Cream works great alone or can be used before applying the Instant Eye Tuck & Dark Circle Treatment serum. Using it together with the Instant Eye Tuck & Dark Circle Treatment serum can help increase effectiveness while treating other eye-related problems you may be having.....like fine lines. PLEASE NOTE: Full size bottles come with a 30 day money back guarantee. Once returned item is received a full refund will be issued (less S&H). Unfortunately, there are no refunds on sample size bottles. Want To Know When Products Go On Sale? The following directions are only a guide to using Instant Eye Tuck & Dark Circle Treatment. There is no right or wrong way to apply the product. It is a matter of personal choice and what works best for you. Feel free to experiment with the products and if you have any questions please contact us. 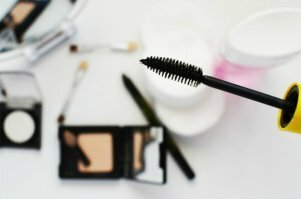 Use just one (very small) drop under each eye, in the morning and the evening. Gently massage the serum into the skin below the eyes, avoiding the edge of the eyelid. Relax for five to ten minutes to let the serum set and dry. You may feel a slight tingling sensation as the serum penetrates the deep layers of skin tissue. Follow your usual cleansing and moisturizing routine. Water removes the serum, so use the Instant Eye Tuck after cleansing. For best results, use Illuminating Eye Care with Instant Eye Tuck. 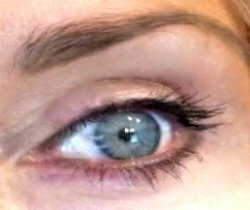 Instant Eye Tuck can be applied over makeup. Heavier ingredients can settle to the bottom of the bottle of Instant Eye Tuck. This is normal and harmless. Shake the bottle or turn it over from time to time to avoid settling. Water (Aqua), Propylene Glycol, Sodium Magnesium Silicate, Sodium lactate, Glycerin, Hydrolyzed Collagen, Camellia Sinensis Leaf Extract (Green Tea), Xanthan Gum, Cucumis Sativus (Cucumber) Fruit Extract, Ruscus Aculeatus Root Extract, Centella Asiatica Extract, Panthenol, Calendula Officinalis Flower Extract, Hydrolyzed Yeast Protein, Aesculus Hippocastanum (Horse Chesnut) Bark Extract, Ammonium Glycyrrhizate, Salix Alba (Willow) Bark Extract, Butylene Glycol, Caprylyl Glycol, Phenoxyethanol, Potassium Sorbate, Hexylene Glycol. The following directions are only a guide to using Illuminating Eye Care. There is no right or wrong way to apply the product. It is a matter of personal choice and what works best for you. Feel free to experiment with the products and if you have any questions please contact us. 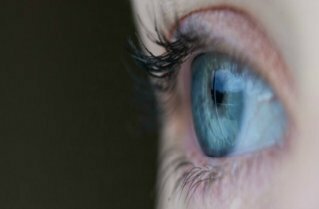 Place one small drop of Illuminating Eye Care Cream beneath each eye. Gently massage the under eye area, avoiding the edge of the eyelid, till the cream is absorbed into the skin tissue. Follow with Instant Eye Tuck & Dark Circle Treatment. Illuminating Eye Care cream is also an effective moisturizer for other areas of the face. Water (Aqua), Cyclopentasiloxane, Dimethicone Crosspolymer, Glycerin, PEG-100 Stearate, Pentylene Glycol, Acrylates/C10-30 Alkyl Acrylate, Copolymer, Pentylene Glycol, Butylene Glycol, Butylene Glycol, Carbomer, Polysorbate 20, Palmitoyl Pentapeptide-4, Soluable Collagen, Allantoin, Panthenol, Acetyl Glucosamine, Disodium, EDTA, Sodium Hyaluronate, Phenoxethanol, Caprylyl Glycol, Potassium Sorbate, Hexylene, Glycol, Niacinamide (Vit B3), Triethanolamine, Mica (77019), Titanium Dioxide (77891), Fragrance (Parfum). 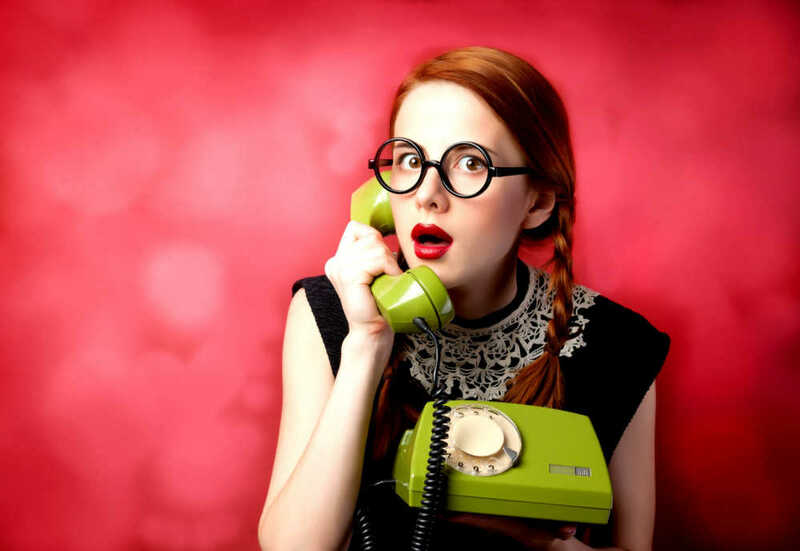 Have a comment, question or want to know what others say about the Easy Eye Solutions products? 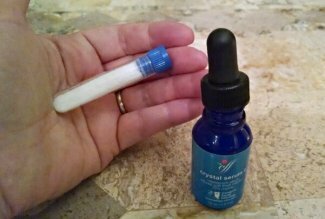 Click here.....Anti-Aging Eye Serum Review. INSTANT EYE TUCK SERUM Sample Size 7.4ml/.25 fl. oz. 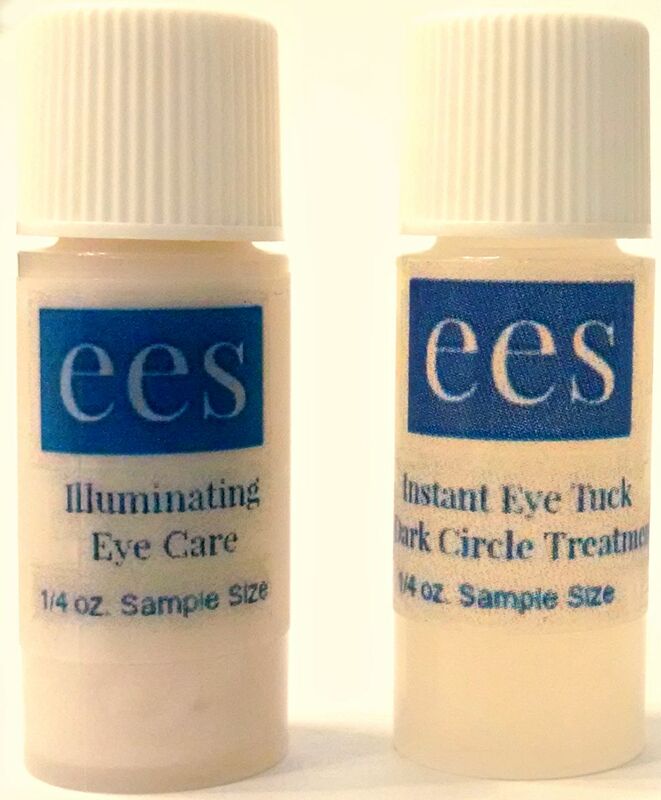 ILLUMINATING EYE CARE CREAM Sample Size 7.4ml/ .25 fl. oz.